FC Barcelona has reached a century of goals so far this season on Saturday. 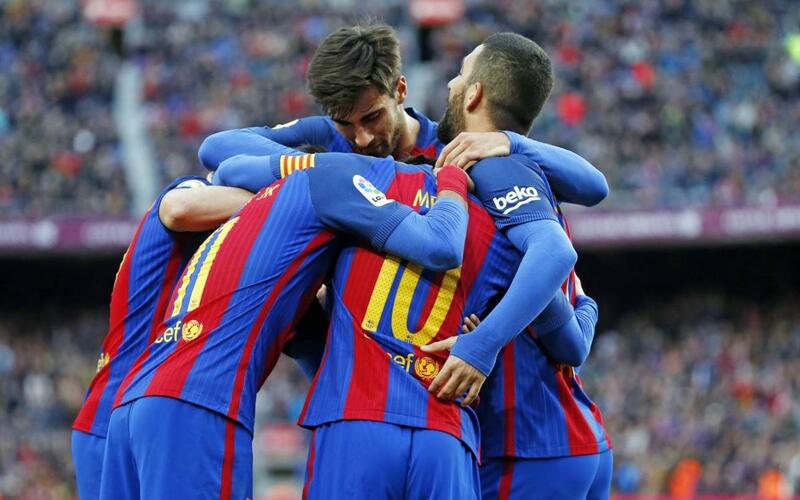 Luis Enrique’s side had scored 97 before the Liga fixture against Athletic Club and they managed to make it to the 100-goal mark thanks to Aleix Vidal’s strike which gave Barça its third and final goal and secured three crucial points in the league title race. Almost a third of the goals have been scored by Barça’s Argentinian star. Leo Messi leads the way with 31 strikes with Golden Boot winner, Luis Suárez, not far behind on 22. Arda Turan, with thirteen; Neymar Jr, with nine; and Rafinha, with six, have also contributed to the tally. In total, sixteen players have got on the scoresheet so far this campaign. Reaching this milestone in early February has become something of a tradition for the Catalans. In Luis Enrique’s first season they managed the feat on the 8 February during a 5-2 victory over Athletic Club and last year they did so during the 7-0 goal fest against Valencia on the 3 February.